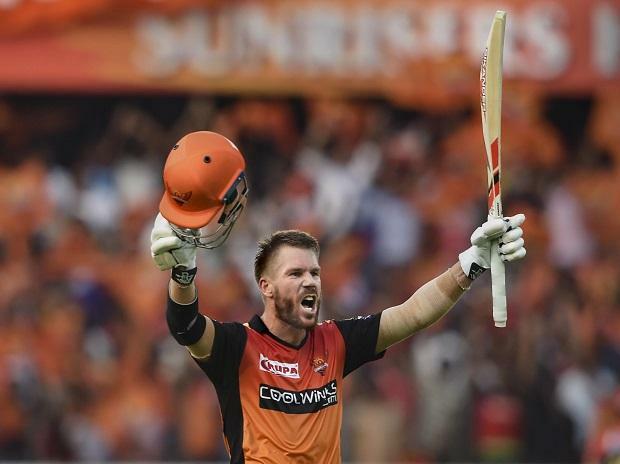 In match 11 of VIVO Indian Premier League 2019 (IPL 2019), Jonny Bairstow and David Warner smashed sensational centuries to guide Sunrisers Hyderabad to a comprehensive 118-run win over struggling Royal Challengers Bangalore at Rajiv Gandhi International Stadium in Hyderabad on Sunday. Englishman Bairstow struck 114 from just 56 balls while Warner carried his bat for a 55-ball 100 in a record 185-run first-wicket partnership to post a mammoth 231 for two after being put into bat. 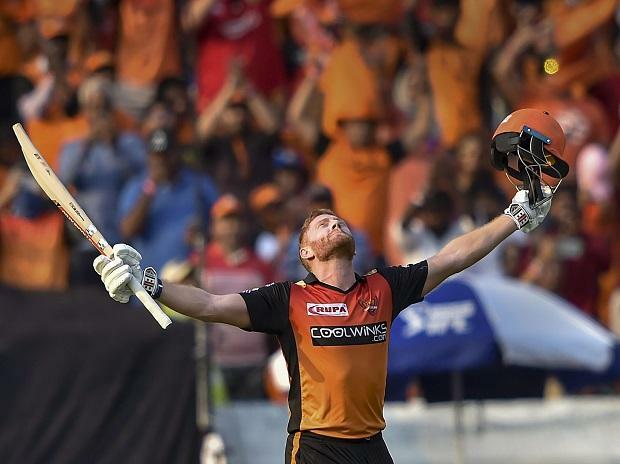 Bairstow punished RCB with 12 fours and seven sixes while Warner hit five fours and as many sixes in his 55-ball knock. With a gigantic target to eclipse, RCB needed a rollicking start but the visitors' chase never got going as they kept on losing wickets to be bundled out for 113 in 19.5 overs. It was RCB's third consecutive loss in the tournament, while Sunrisers registered their second win out of three games this season. Playing his first IPL match this season, Afghan all-rounder Mohammad Nabi did the early damage as he picked up three quick wickets -- two in his second over -- as RCB's slumped to 22 for three by the end of the fourth over. Nabi first accounted for Parthiv Patel and then came back to remove Shimron Hetmyer and dangerous A B de Villiers in the fourth over. To make matters worse for RCB, Sandeep Sharma then dismissed skipper Virat Kohli in the first delivery of the seventh over. As if that was not enough, Shivam Dubey was run out in the very next ball as RCB' chase fell by the wayside. At that stage the visitors slumped to 35 for six in 7.3 overs. 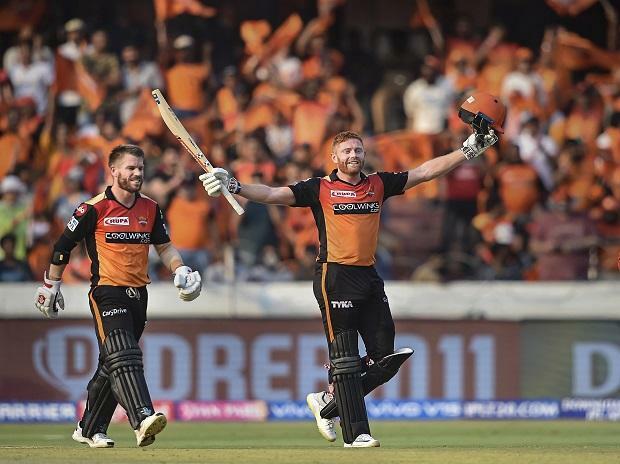 Earlier, RCB captain Kohli's decision to put Sunrisers in backfired as all his bowlers were taken to cleaners by Bairstow and Warner who became the first pair in IPL history to post three consecutive hundred-run stands. Bairstow and Warner bludgeoned the bowlers, bettering the earlier highest of 184 between KKR's Gautam Gambhir and Chris Lynn in the 2017 edition against Gujarat Lions. Sunday's innings was also only the second time in IPL history in which two batsmen scored a hundred each.